Old Swiss Confederacy, 1291: Wilhelm Tell, a tenacious hunter turned mercenary, returns from Habsburg’s war in search for peace, instead he discovers demoralized Helvetians in despair. Even a single misplaced word can lead to a death sentence... unrest and rebellion hang in the air… the Helvetians endured Habsburg’s wrath and greed for too long. They seek change, but who is going to lead them? Bailiff Gessler is believed to be a Helvetian at heart, but he is also expected to rule the land for the King and keep the peace between Helvetians and Habsburg. Gessler feels conflicted and finds himself trapped between his people and his loyalty to King Rudolf I.
Wilhelm Tell, whose true calling and heroic strength has not come to light yet, does not see the need for an uprising, he is content in the deep forest, far away from Habsburg’s influence. But when the cruel Habsburg powers present Tell with an ultimatum, he finally must choose a side. He can no longer ignore the ridicule, he has no choice but to step into the spotlight and risk everything. Can Tell inspire the Helvetians to stand up for their rights, and free themselves from the oppressive House of Habsburg with his heroic actions, and will a single arrow shot be enough to spark the idea of a united front against tyranny? Can the Helvetians attain their aspiration for a confederated Switzerland, and does Wilhelm Tell ever find peace? High-​Medieval movie set in the 13th century. around the time Switzerland was to be confederated. 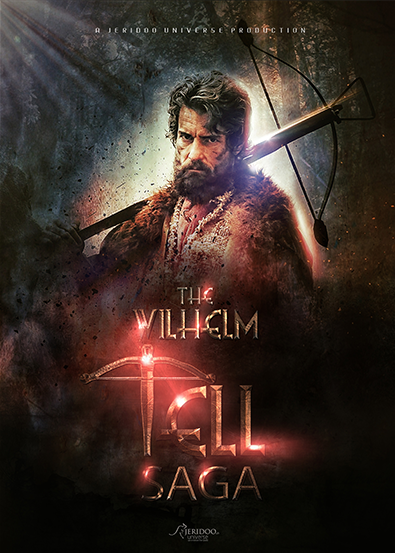 It's based on Switzerland's National Hero Wilhelm Tell who rebelled against the House of Habsburg, a house that conquered and triumphed over Helvetica, Germany and Austria. Worldwide. Audience who likes ,,Vikings", ,,Game of Thrones", Mel Gibson's ,,Braveheart", or King Arthur. ​Going to be a Rated R Movie.